This 1/72 scale Sd.Kfz. 251 halftrack model is highly detailed with accurate dimensions. The six rocket launcher frames mounted on the hull are beautifully produced and boast intricate detail. 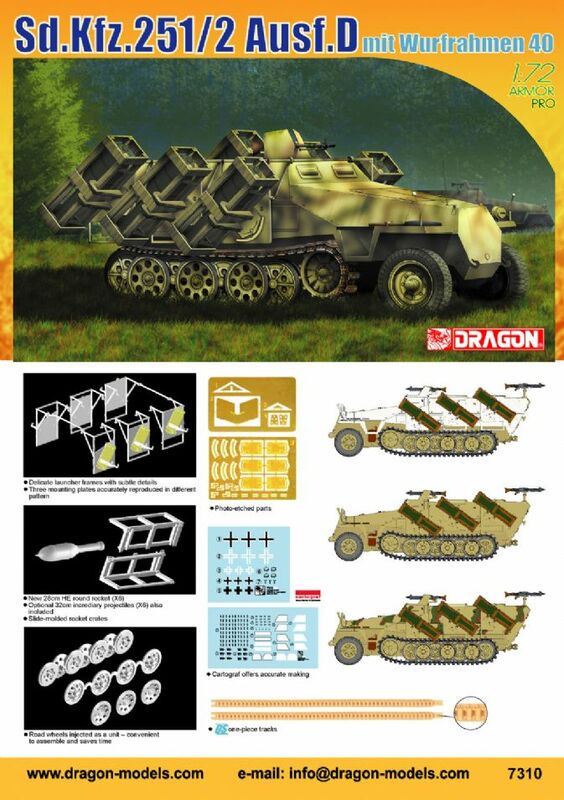 They come with the 32cm Wurfkoerper Flammgranate (incendiary) projectiles contained in the earlier kit release, as well as brand new 28cm Sprengranate (HE) rockets. These latter projectiles could be fired out to a range of 1.9km.